Crown Oil are red diesel suppliers in Oxford. We can also deliver diesel, kerosene, heating oil and lubricants anywhere in the UK. 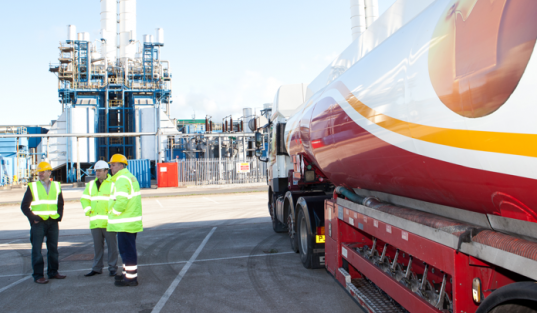 We are a national fuel supplier; we can even deliver 24/7 in case of an emergency. If you are looking for a reliable supplier offering competitive prices, call Crown Oil. We supply red diesel to companies across the country, from big blue chip companies to small organisations. We can deliver red diesel in barrels or in bulk loads. If you need to buy red diesel, or are just looking around for prices, call Crown Oil on 0845 313 0845. When you drive your vehicle around town you can probably see that the price of fuel is going to be higher than what you want to pay. However, when you look at your agricultural vehicles you will see that they are going to require diesel to run on and that cost is typically even higher. That is when you should know the benefit of purchasing red diesel. Once you know about the benefits of purchasing this for your agricultural vehicles you will quickly see that it could be the best option available. One benefit that you will find is that you will see that many different diesel suppliers are going to be available for this item. Since you will have so many different suppliers your going to see that they are going to offer competitive prices. Then you will not have to worry about paying a price that is going to be higher than what you want to pay. Another benefit that can be found is that this is going to be a great way for you to stay in the Oxford region for the fuel that you need to have. When you can stay local on the item that you need you will notice that it is going to help drive the economy. Then you will see that the people that you purchase this item from could easily become your future customers as well and that could allow for a great trade-off. Being able to know about the benefits of using red diesel you will quickly notice that it could be the only type that you should be purchasing. Then you can enjoy the lower cost for what you need to power your agricultural vehicles.